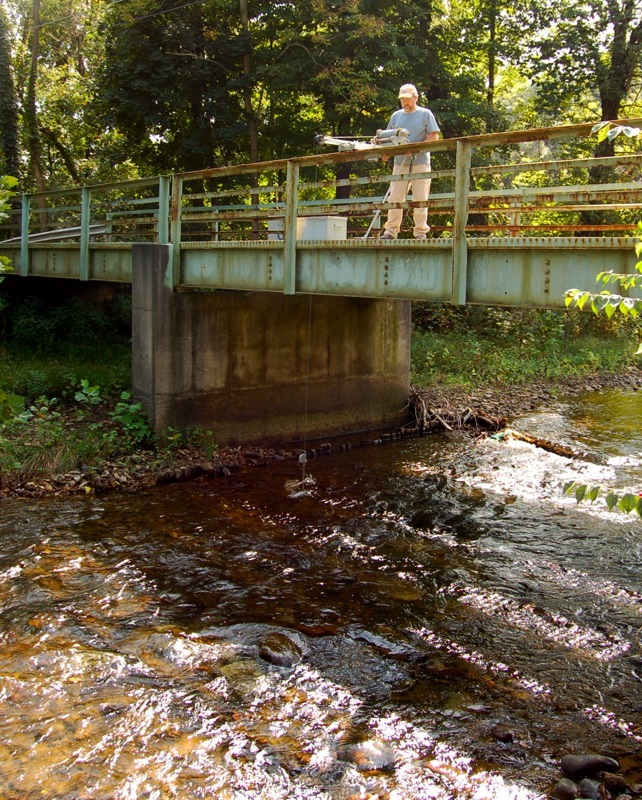 Bucknell University is located on the banks of the Susquehanna River, which provides an outdoor laboratory for teaching and research on a variety of fluvial processes, river engineering, and aquatic ecology. Over the past 200 years, the river has been heavily influenced by agriculture, mining, logging, and urban development. Therefore, in addition to river management issues on the main channel, many of the smaller tributaries in the area have sediment erosion and deposition problems that have affected local infrastructure and aquatic habitat. 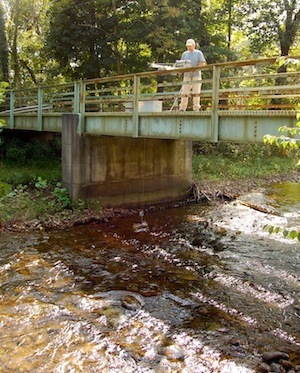 The university’s Susquehanna River Initiative program has purchased a number of flow velocity meters, depth finders, suspended and bedload samplers and are incorporated these field-based techniques into classes and summer research. 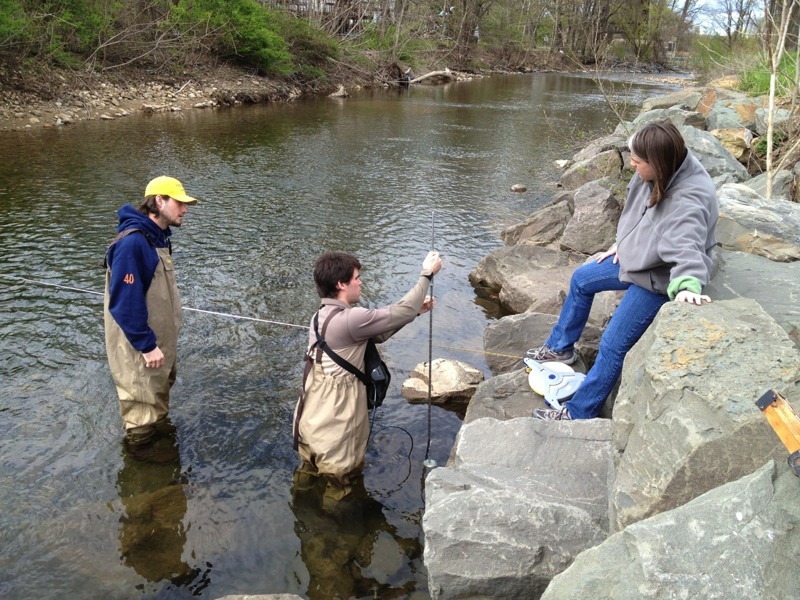 The use of hydro-acoustic methods has greatly enhanced existing watershed-based courses by providing students the opportunity to learn ADCP technologies and compare it to traditional methods using Price-type AA bucket wheel and Marsh-McBirney electromagnetic meters. 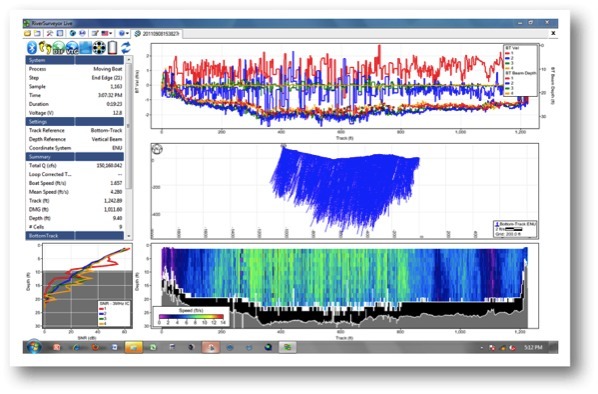 The Sontek RiverSurveyor ADCP and GPS facilitates use of field data for computing the measurement locations and associated depth and water velocity profiles, and provides a basis for collecting additional sediment and water-quality measurements and channel cross section information. Figure 1. 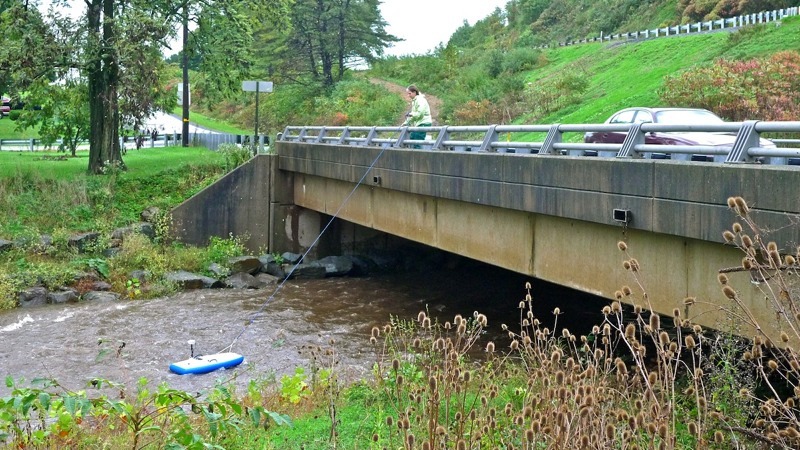 Using traditional impeller-type current meter (Price Type A) and bridge board to measure discharge in small streams. Figure 2. Relative abundance versus size of mussels in West Branch Susquehanna River near Milton, PA. Figure 3. Professor Newlin helps River Mechanics engineering students learn how to use Marsh McBirney flow meters to assess shear stresses at base of stream restoration structures at White Deer Creek research site. Figure 4. 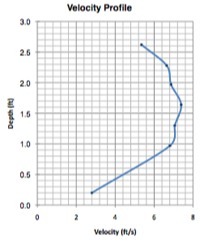 Vertical velocity profile in water column measured using Marsh McBirney magnetic flow velocity meter. Figure 5. Two-dimensional variations in flow velocities across the White Deer Creek channel measured using Sontek RiverSurveyor hydroacoustic methods. Figure 4. Cariosa mussels found in bed of the Susquehanna River.